The dates for the Dun Laoghaire Stop-over HAVE BEEN CONFIRMED!!! Boats will / should be arriving on Wednesday 11th August and the start of the next leg will be given on Sunday 14th August at 1100. The NYC has formed a partnership with the Dun Laoghaire Harbour Company and the Dun Laoghaire Rathdown County Council. The delegation going to Paris to announce and promote the Dun Laoghaire stop-over is composed of: Mrs. Lettie McCarthy (An Cathaoirleach – DLRCoCo. ), Mr. Richard Shakespeare, Director of Environment, Culture and Community – DLRCoCo. ), Mr. Sean Costelloe (Chairman – DLHCo), Mr. Gerry Dunne (CEO, DLHCo), Mr. Peter Ryan (Commodore – NYC) and Mr. Olivier Prouveur (Sailing Manager – NYC). Stay tuned as important information will be posted on a regular basis!!! In a major announcement for Dun Laoghaire and for the National Yacht Club, a top French fixture involving 50 single handed yachts will visit the east coast port next Summer. Dun Laoghaire will be the only stop over outside France for next year’s prestigious La Solitaire du Figaro race. The race is regarded as one of the world’s solo sailing great events and one of the toughest on the international sailing calendar. Although having strong connections with Ireland this is the first time the 42 year old fixture will visit Ireland’s largest sailing centre. The fleet will moor in Dun Laoghaire harbour at the finish of the second leg and hosted by the National Yacht Club. They are expected to stay for a week. This year the race visited Kinsale and in the past has also visited the Irish ports of Crosshaven, Howth and Dingle. 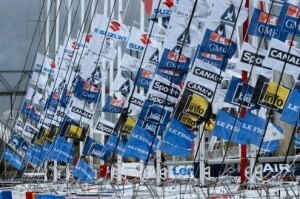 One month since the finish of the Solitaire du Figaro 2010, event organisers are already looking ahead, to 2011. The 42nd edition announces a new route: four legs, four French ports and one foreign stopover. The full details will be unveiled at the Paris Boat Show, on Friday December 3rd. La Solitaire is going back to its roots. Perros-Guirec and Brittany from where the race will start on Sunday, 31st July 2011, are the most faithful of all host ports in the history of the race as Perros-Guirec has the record number of participations, this being the 16th time that the town will welcome the race. The last time was in 2005 and there is no doubt that Perros-Guirec will do its absolute best for this comeback. The second French stopover in 2011 will be Caen, where the race will go back for the third time. The harbour and the village are ideally situated in the city centre and will surely gather thousands of visitors during the week long stay, with a full schedule of social events organised by the local municipality. The third French rendez-vous is les Sables d’Olonne, which requires little introduction. In 2007, the port in the Vendée region celebrated the victory of Michel Desjoyeaux and since then the local authorities and the town live in very close ties to yachting, always ready to welcome sailors of all sorts, and namely from the Vendée Globe race… undoubtedly the people from Les Sables will show a very warm welcome to the skippers competing on the 42nd edition of La Solitaire next summer, as they have already done on six occasions on previous occasions as a host port for a race start or finish. 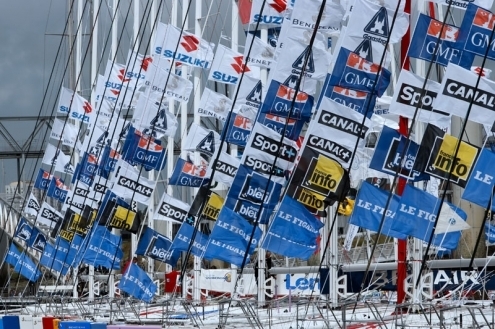 Dieppe will host the finish and close of La Solitaire du Figaro 2011 race. The Haute-Normandie region town expects to see the finish on a around August 24th. The town first hosted the race in 2009, regarded as a great success and one that the organisers wish to repeat by returning of for the finish. Locals in Dieppe will welcome the fleet over the final miles and will put on a whole host of celebrations through to Sunday 28th of August for the traditional final parade sail. Just one stop over outside of France is planned and this is to be held in Ireland. La Solitaire will go to Dún Laoghaire for the first time, just fifteen minutes from the bustling town centre of Dublin at the finish of the second leg. The second stage promises to be a nice discovery for the Figaro sailors who will appreciate the charming Bay of Dublin and National Yacht Club’s members warm welcome. Perros-Guirec, Caen, Dún Laoghaire, Les Sables d’Olonne and Dieppe: five cities for a 42nd edition marked by many novelties. 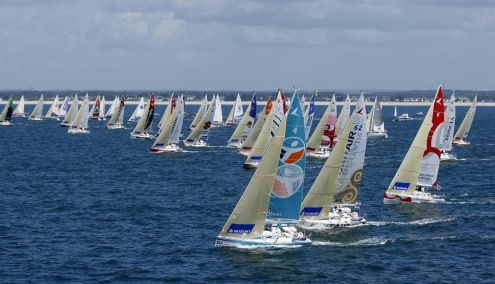 Sailing across the Channel, the Atlantic ocean, the Irish sea and the Celtic sea, the Solitaire du Figaro 2011 guarantees to be one of the season’s greatest sports events. The National Yacht Club is delighted to welcome this prestigious event and will communicate further developments in the very near future.